Synthetic resins are generally used for composite fillings, but they are very soft compared to natural tooth material, making them more vulnerable to failure than amalgam (synthetic resins last for 6-10 years, whereas amalgam lasts for several decades). However, all fillings are susceptible to failure at some point of time when they shrink or crack away from the tooth and create gaps to harbor food debris and bacteria, further increasing the risk of tooth decay. Secondary caries taking place at the margins are the major reason for replacement fillings. Intensive research is going on to develop a more durable filling material for repairing dental decay without compromising the aesthetic value. Bioactive glass is a biocompatible material and is already used in many biomedical applications. Therefore, its potential use in dentistry was investigated. The role of bioactive glass as a tooth filling material is discussed in this article. Glass does not produce an immune response and therefore, by virtue of its low weight and high strength, has been extensively used in various biomedical applications, wound healing, bone regeneration, and bone tissue engineering.4 Bioactive glass is a form of crushed glass capable of bonding to either soft or hard tissue and also showing antimicrobial activity. The demonstrated high strength and the observed antimicrobial activity of bioactive glass make it a potential candidate for dental fillings. Tooth fillings using bioactive glass should improve the durability of composite filling materials and hinder secondary tooth decay by suppressing bacterial colonization. 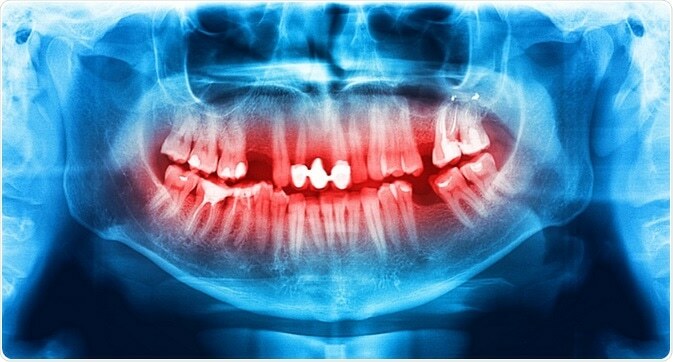 Moreover, it was hypothesized that minerals may also be supplied by the bioactive glass to strengthen the damaged tooth surface. In a recent study, it has been shown that the addition of bioactive glass filler to composite filling materials helps make restorations that are less susceptible to bacterial penetration.9 The proportion of the gap depth colonized with bacteria was 61% for fillings made from a filler containing bioactive glass compared with 100% for those made from the traditional filler. These results conclude that the use of a composite filling material containing bioactive glass may enhance the durability of composite fillings and reduce the occurrence of secondary tooth decay at restoration margins. In dentistry, secondary tooth decay at the site of restorations still remains a challenge. Dental fillings using bioactive glass composites have better strength and reduced bacterial colonization. As a result, the restoration will have a reduced rate of decay and increased service life. Hence, the incorporation of bioactive glass to dental filler materials shows promise to offer a less problematic solution to patients requiring dental restorations. This type of glass is only beginning to see use in dentistry, and our research shows it may be very promising for tooth fillings. The bacteria in the mouth that help cause cavities don’t seem to like this type of glass and are less likely to colonize on fillings that incorporate it. This could have a significant impact on the future of dentistry. Prabhakar AR, et al Comparative Evaluation of the Remineralizing Effects and Surface Micro hardness of Glass Ionomer Cements Containing Bioactive Glass (S53P4):An in vitro Study. Int J Clin Pediatr Dent. 2010 May-Aug;3(2):69-77. doi: 10.5005/jp-journals-10005-1057. Available at https://www.ncbi.nlm.nih.gov/pubmed/27507915.